The British School of Beijing, Sanlitun is the oldest and most established British school in Beijing. It opened in 2004. We hire only highly qualified teachers with several years’ experience. Almost all the teachers at BSB Sanlitun are from the UK. We have highly qualified Teaching Assistants (TAs) attached to our classes. All have university degrees, and many are from overseas. In Pre-Nursery and Nursery, we have a maximum of 16 students with a qualified teacher, two TAs and an ayi. In Reception, we have a maximum of 20 children with a teacher and a TA, and in Years 1 to 6, we have a maximum of 22 students per class, although many of our classes fall below this number. How do you deal with children with limited English? We have an excellent EAL (English as an Additional Language) programme to cater for children arriving with little or no English. At the British School of Beijing, Sanlitun, in our English-speaking environment, children pick up English incredibly quickly. What sort of a Chinese programme do you have? All students receive the equivalent of three hours of Chinese each week. For our younger children, this is done in a very natural way with 30-40 minutes each day of games and activities with our Chinese teachers. From Reception onwards, our students have three one-hour Chinese lessons with our highly experienced team of Chinese teachers. We group our children so that we can cater for absolute beginners up to native speakers, with several levels in-between. All children from Year 1 upwards attend After School Activities (ASAs) for an extra hour after school on Tuesdays and Wednesdays. Our ASAs change from term to term, and include a wide variety of music, sports and creative activities. There is no extra charge for these. My child loves sports - will he be able to pursue them at the British School of Beijing, Sanlitun? We have specialist Physical Education (PE) teachers, and all classes have two hours of PE a week. We have school sports teams that compete against other schools in Beijing in a variety of sports. In addition, there are lots of opportunities to play different sports as part of our ASAs. What is your music programme like at British School of Beijing, Sanlitun? Our children have two music classes each week. From Year 1 upwards, one of these classes involves learning a musical instrument (recorder, violin, cello, guitar, flute, clarinet or trumpet). We also offer individual music lessons. We have school choirs and instrumental groups, and we have lots of music in our ASA programme. Are there any other extra-curricular activities held at your school? We have a number of outside organisations that use our school as a venue outside school hours. Activities held at the British School of Beijing, Sanlitun include football, gymnastics, ballet and kung fu. What sort of excursions and trips do you offer your students? From Year 3 upwards, all students go on a residential trip within China each year. These are included in the tuition fees, and locations include Xi’an, Ping Yao, and Inner Mongolia. Year 2 have an overnight stay in school late in the year, and all classes have a comprehensive programme of day trips to enhance classroom learning. How will the British School of Beijing, Sanlitun ensure my child settles in quickly to their new school? We are known for our warmth in welcoming new families to the school. We provide lots of information about the class and school prior to your arrival and are ready for you from your first day. We can put you in touch with a family before your child starts here, and we always arrange a ‘buddy’ for our new children. How well do British School of Beijing, Sanlitun students do in their exams? Our Year 6 children sit the UK SAT exams at the end of the school year, and always achieve results well above the UK national average. Where do your students move on to after they finish Year 6? After our students finish Year 6, there is a seamless transition to Year 7 at our sister school, the British School of Beijing, Shunyi. 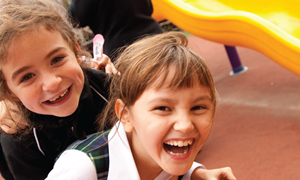 Places are guaranteed, and we group the children with their friends as they move schools. We have a school culture that promotes respect for others, good manners and promotes self-expression and self-esteem. We actively reward our students for demonstrating respect for others with ‘marbles’ and teach these values at assemblies and in the classroom. We have excellent communication between the school and parents. Our teachers send a daily e-mail to parents; we have a weekly newsletter; termly reports and parent meetings throughout the year. In addition, our teachers are just an e-mail away! What involvement do your parents have at BSB Sanlitun? We have wonderfully supportive network of parents who are involved with such programmes as Lunch Mums and Dads, and Class Reading. We have a very active Parents’ Association who meet regularly and who organise family events such as International Day, Welcome Back BBQs and our annual Art Auction. Located in the heart of downtown Beijing, your child will thrive in our school's global community with opportunities beyond the ordinary.